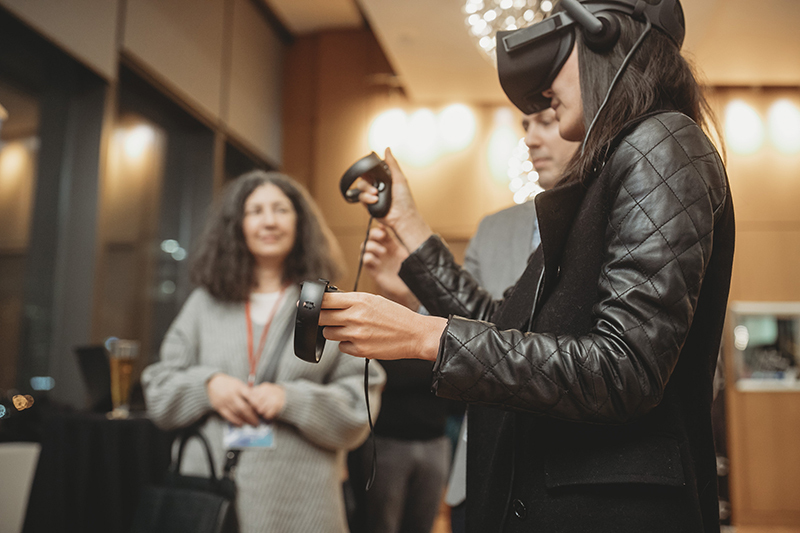 On a rainy Monday, November 26, a diverse group of startups and venture capitalists gathered at the CFC Media Lab’s IDEABOOST Road Show at Corus Entertainment in downtown Toronto. Part funding session and part networking session, the Road Show gave 10 startups a chance to deliver a seven-minute pitch to a room full of motivated investors, a prime example of how the IDEABOOST-Network Connect community benefits both participants and the tech industry writ large. Unlike other pitch events, startups at the Road Show have either participated in one of the seven cohorts of CFC Media Lab’s IDEABOOST Accelerator (The Discourse, MasterpieceVR, Paddle HR, Synervoz), or are part of Network Connect, the IDEABOOST program’s startup affiliates group (ARFront Technologies, Battleverse, Dark Slope, MusicPeaks, Penta Medical and Torus Media Labs). Taken together, they represent an array of disparate industries, ranging from laser therapy to horse racing to video games. Investors like Corus Entertainment, one of the original sponsors of the wider IDEABOOST-Network Connect program and the host of Monday’s event, values that variety. For all 10 startups, the Road Show gave them an opportunity to secure funding that they need to move on to the next stage of development. They know the people in the room are listening, which is not necessarily the case in other pitch scenarios. Of course, a startup like Battleverse – which is developing an augmented reality (AR) gaming platform for use in family entertainment centres – still needs to convince a potential partner to take that plunge. So the Road Show is more casual and welcoming than a typical pitch environment, with demos and a networking reception following the presentations. That makes the Road Show invaluable to entrepreneurs, even if it doesn’t lead to immediate funding. It fosters intellectual exchange, too. The founder of a small startup will approach problems from a different vantage point than those working in larger organizations. For a company like Corus, that stance is key to the appeal. Those benefits are just as relevant to startups, who are able to learn more about the industries they’re trying to disrupt and refine their products accordingly. Masterpiece VR is a software suite that allows people to sculpt and paint in virtual reality (VR). The company is hoping to license it as a tool to animators and game developers. In his Road Show pitch, Gagne demonstrated how Masterpiece VR allows 3D modelers to work faster (and with less software training) than current options like Z-Brush, which showcased the evolution of Masterpiece VR as a platform and a company. That is ultimately what makes this event so unique. Its 10 startups come from many different fields and so are not competitors in the traditional sense. Instead, everyone is working together to solve the problems of the future – which opens the door for collaboration, one of the IDEABOOST program’s unique value propositions that sets it apart from many startup communities and accelerators. The result is a more supportive and nurturing atmosphere that helps young Canadian entrepreneurs thrive in an increasingly competitive global marketplace. 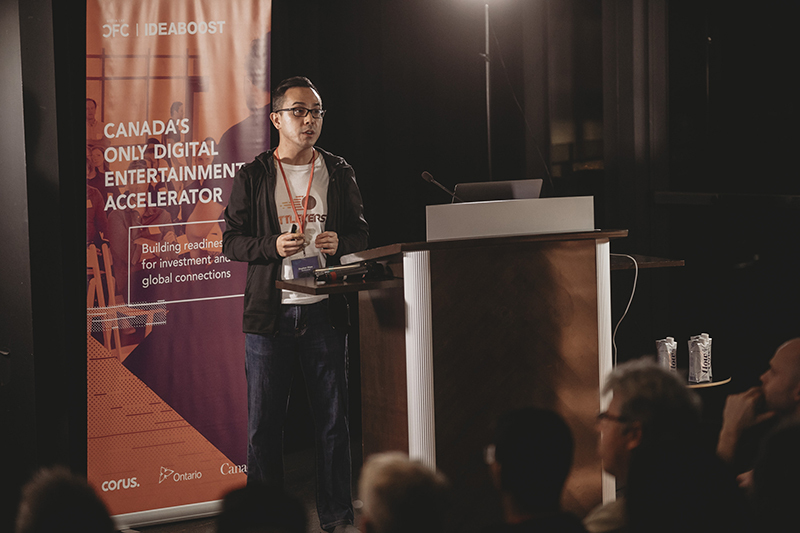 “IDEABOOST helped us connect with entrepreneurs in Toronto and Canada. It has given us a lot of opportunities by which we can groom our own business,” says ARFront’s Bhachech. Sometimes that conversation leads directly to a round of funding. Sometimes it establishes the groundwork for a future partnership. 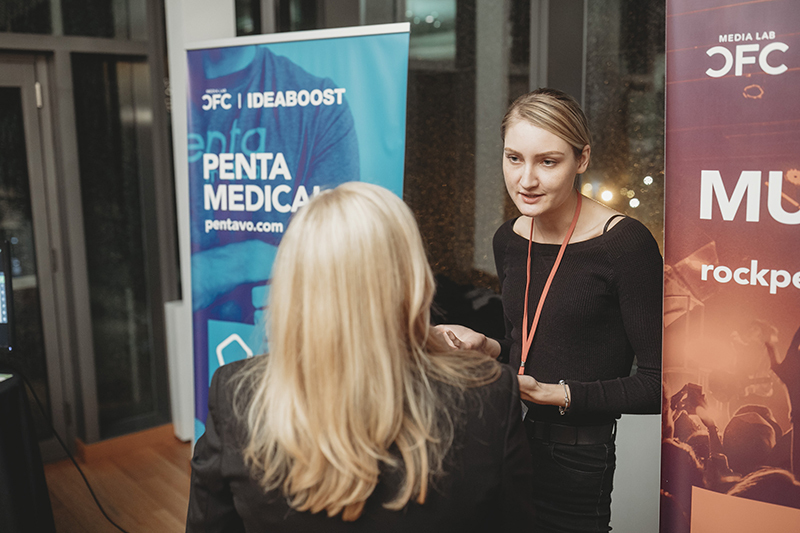 Either way, the IDEABOOST Road Show offers both access and expertise, generating opportunities for Canadian startups, and then helping them develop the skills they need to capitalize on those opportunities. That brings the best ideas to the fore and paves the way for further innovation. "The quality of mentorship and the network that I came away with are both extremely valuable to the business. (IDEABOOST) really honed my thinking, challenged me on multiple levels, and accelerated our progress."